Four years after its launch, Rome MED – Mediterranean Dialogues has established itself as an annual conference and global hub for high-level dialogue aimed at enhancing debate among policy-makers and experts around current trends and challenges stemming from the Mediterranean region. The goal is to lay the groundwork for mutual understanding and trust building among regional actors, as a prerequisite for drafting a positive agenda. The third edition of this Report offers a vast array of insights, data and analyses on political, socio-economic and security dynamics unfolding throughout the region. In particular, the first section of the Report focuses on positive trends and achievements brought forward by regional actors. 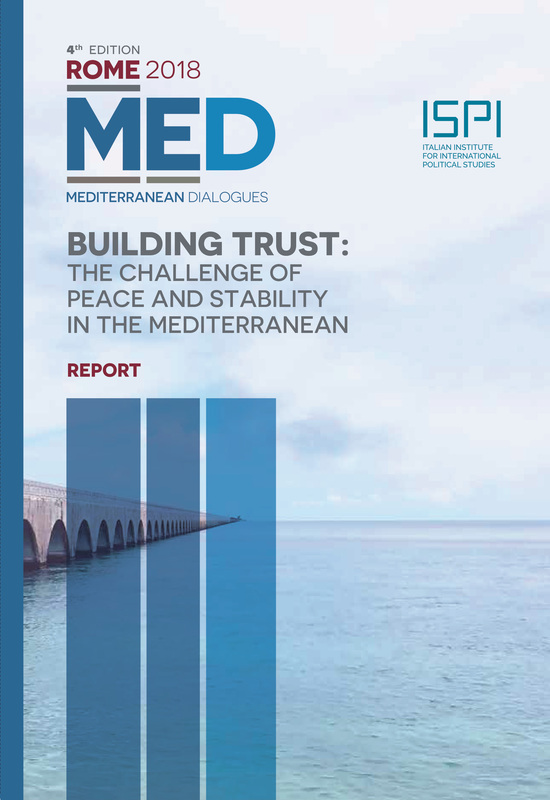 It also provides policy recommendations to strengthen these positive dynamics, with a view to further improving the socio-economic, political and security contexts in the Mediterranean basin. The second section turns the spotlight on the main security, political, economic and cultural challenges the region is currently facing. The Report collects insights, analyses and policy recommendations from different perspectives and countries, also thanks to the collaboration of MED research partners and international experts.